Talk about a dynamic duo–Rookie Season is the Nashville-based project of Sanders Bohlke and Brad Odum that’s been ten years in the making. Fresh off the release of their long-awaited debut album The Collide earlier this year in May, the pair are taking their music back to how it all started, unveiling a new video of their live in-studio performance of “Got a Feelin’.” An undeniably feel-good track, the song truly comes alive as Rookie Season jams with their dynamic live band– & Ones To Watch is here to give you the first look of the new video you won’t be able to stop grooving along to. Recording live to tape in one take is an impressive feat, and a challenge that not just any band would necessarily be willing to take on as gladly as Rookie Season. The band’s new “Got a Feelin’” video was filmed and produced by Trace Horse Recording at their studio in Nashville. Amidst horns blasting in an isolation booth, back-up singers raising their voices in almost Gospel-choir fashion, and a thick, voluptuous bass line thumping along, the two-piece core of Rookie Season stills shines brightly. If you pay attention, you can catch vocalist Sanders and drummer Brad actually facing each other during the performance–a not-so-typical live set-up, but a perfect glimpse into the tight relationship these two musicians have shared ever since meeting all those years ago. The special bond shared between the duo began under uniquely near-happenstance circumstances. Ten years ago, Sanders was a solo artist living in Mississippi while Brad was a touring Nashville drummer. With only one rehearsal under their belts (which was also the first time they met), the pair played a show together–also without ever having seen the other perform before! 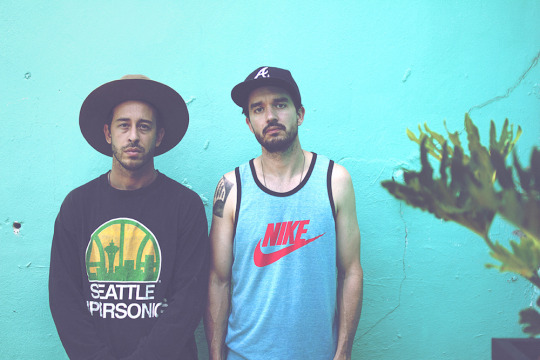 The two artists combined forces over the years, but always playing together as part of Sanders’ solo project. Eventually, they decided to try another experiment, this time a creative venture which would primarily be centered around the music of what is now Rookie Season, but also encompass design and fashion. Their merch line, The Collide: A Capsule Collection is definitely worth checking out. Developing a band’s sound takes time and exploration, so the pair’s extensive musical experiences over the past ten years proved valuable when it came time to writing a full-length original album together. By the time Rookie Season created The Collide, their comfort with each other and the project had certainly settled in, resulting in an exciting blend of soulful R&B and funk. Building on their debut’s momentum, their single “Backtalker” also recently received a wonderfully hilarious and must-see claymation video treatment, which premiered on What Youth. April 25, 2019 Petras is taking her crown as the next pop princess. April 24, 2019 All eyes are on Dounia, the forward-thinking voice of a generation.